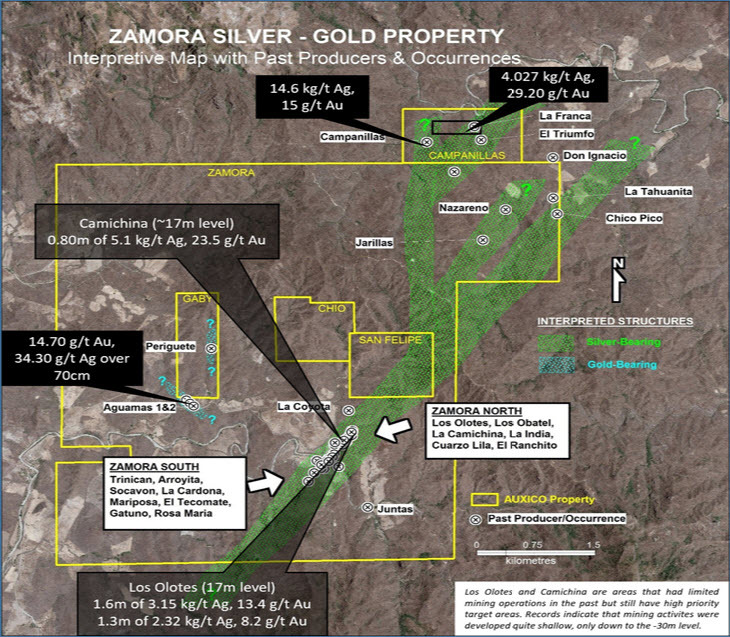 MONTREAL, Sept. 12, 2018 (GLOBE NEWSWIRE) -- Auxico Resources Canada Inc. (CSE:AUAG) is pleased to announce sampling results from a recent campaign carried out over some selected areas on Auxico's 100% owned Zamora Silver-Gold Property (Zamora) in Mexico, which confirm the high-grade nature of the silver and gold mineralization. Auxico would also like to inform shareholders that Salvador Brouwer has resigned from the board of directors, for personal reasons. The board and management of Auxico would like to thank Salvador for his contributions as a director and wish him well in his future endeavours. Additional information on Auxico can be found on the Company's website (www.auxicoresources.com) or on SEDAR (www.sedar.com) under "Auxico Resources Canada Inc."
Technical information on the Zamora Property can be found in the Company's Technical Report, dated August 16, 2017 (amended) and written by Joel Scodnick, P.Geo., QP, and independent consultant to the Company. Auxico Resources Canada Inc. ("Auxico") is a Canadian company that was founded in 2014 and based in Montreal. Auxico is engaged in the acquisition, exploration and development of mineral properties in Mexico. 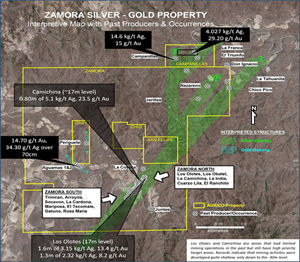 The Company has a 100% interest in the Zamora Silver-Gold Property in Sinaloa, Mexico. Auxico will continue to identify and potentially acquire additional property interests and conduct exploration and evaluation of these properties to assess their potential.